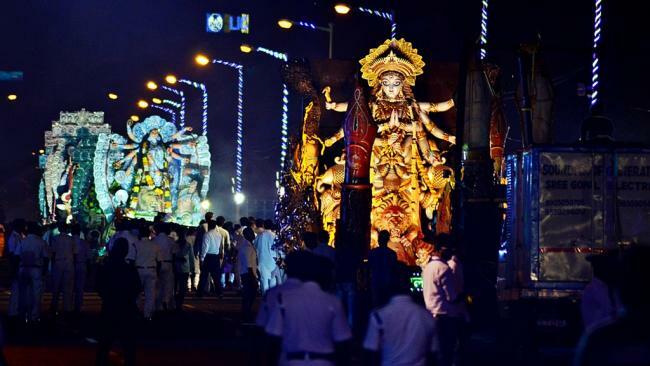 Navratri or Navarathri literally means 'nine nights' in Sanskrit. It is one of the most auspicious Hindu festivals in India. The festival Sharad Navratri is the most observed in the honor of the divine feminine Durga Devi. 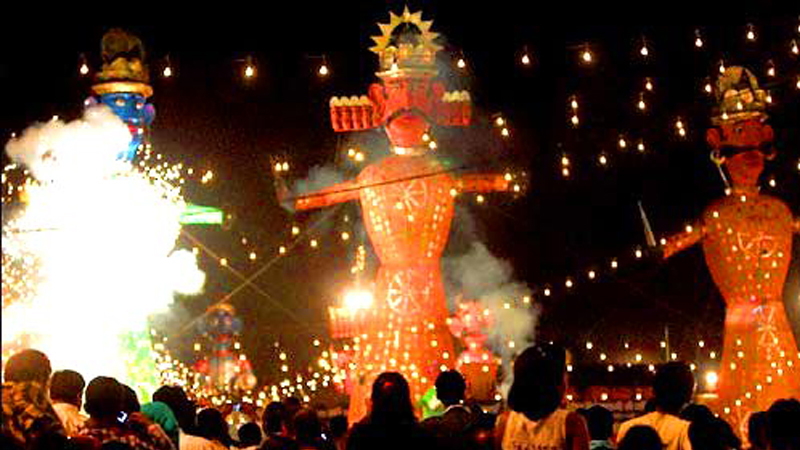 It is celebrated during the months of September and October. The legend goes that Mahishasur the demon who could change his form at will set out to capture the heavens with his huge army. Lord Indra led the battle on the Gods side and a mystical power named 'Durga' emerged out of it to destroy the demon. She destroyed Mahishasur, thus sustaining life. This female form of Shakti is celebrated during the nine nights of Navratri. The Hindu philosophy thus celebrates the female aspect of God during Navratri. The nine days of Navratri are divided into three sets which are each linked to three Hindu goddesses and celebrates three different aspects of female divinity. The legend of Durga beating the demon Mahishasur denotes the ferocious power with which the evil in the world is destroyed. 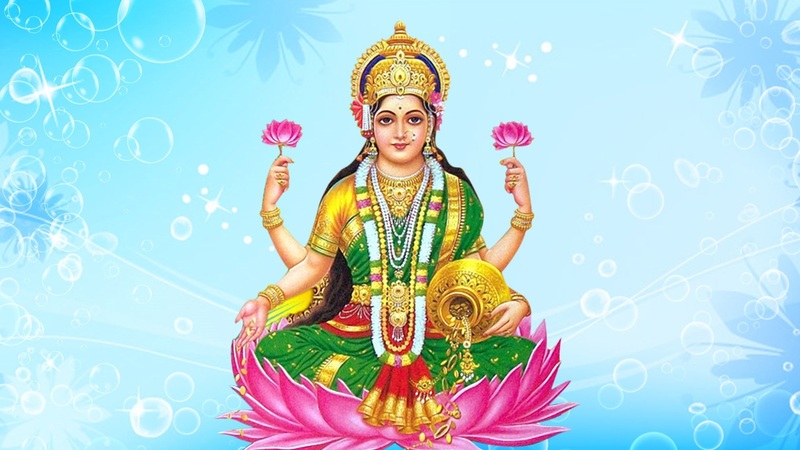 Lakhsmi allows the devotees to replace the negative qualities purged by Durga with positive spiritual qualities. 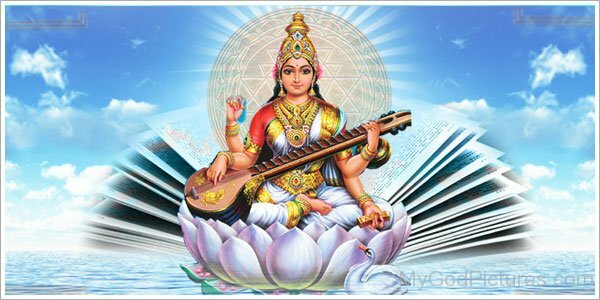 Saraswati is believed to hold divine knowledge and to bring wisdom and learning to those who worship her. 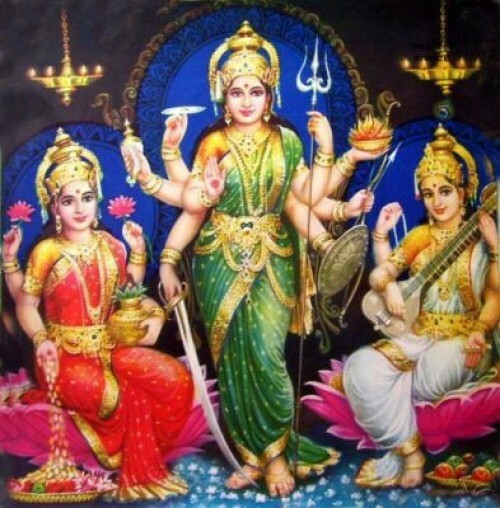 In India, Navratri is celebrated for the Goddesses and their power. In Hinduism, it is believed that shakti - the source of all is complete only by including both man and woman. The pujas performed would be incomplete without the lady of the house present. During the nine days of Navratri, women of all ages are treated with utmost respect, maybe a bit more than men. Even the burning of Raavans effigy denotes the fall of a man because of two women - Sita, his nemesis, and Shoorpanaka his sister. Legend says that Ram needed the grace of Durga to shoot the arrow which destroyed Raavan. One can see women outside the confines their houses in the otherwise male-dominated society dancing their hearts out, all sanctioned by their religion. 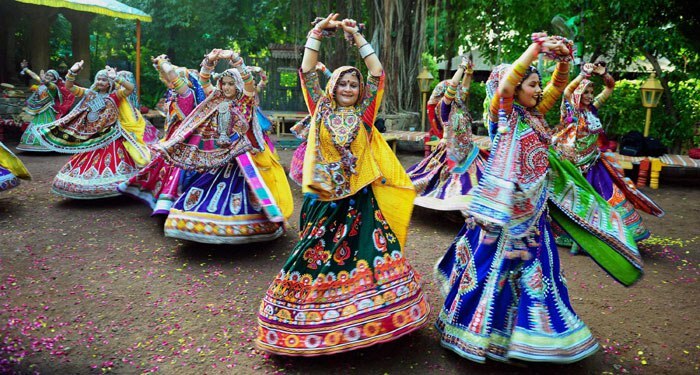 The dance forms of Garba celebrate womanhood and fertility. While celebrating the female divine, we must remember that it celebrates women's power to stand alone, majestically, and have an identity without her better half. In short, Navratri is the role reversal in India where women are given prominence over men. Women are recognized as the creator, the one with the power to destroy and the power to sustain. The one with the power to give wealth and wisdom. Hinduism is the only religion which gave equal importance to Gods and Goddesses. Hindu ideology didn't cater towards patriarchy in the beginning. In fact, in the epic, Mahabharata, there was no concept of marriage as such. Men and women could go to anybody. The only point where it became a concern was when it needed to be established that the child (mostly boy child) was the man's heir. Because of this, fidelity became an important issue. Women became the vessel to carry the seed. Fatherhood became important and inheritance to the male child became a tradition. This gave the man a sense of immortality. That their legacy would live on eternally through their sons. Feminism, the idea of women and men being equal is discussed in hinduism too albeit in a different sense. In hinduism, the soul has no gender. Everybody is equal for that matter. Only when the flesh is taken into consideration, there is man and woman and the other genders (Napumsaka). It is believed that the unenlightened value flesh more than the soul. This created the unreasonable practice of valuing male flesh over female flesh, fairer flesh over darker flesh, the property, family, and social stature of the flesh. The irony that the religion which still believes that woman is the creator and the sustainer of life now treat them as a lesser flesh is clearly visible. Yet, we turn a blind eye to this and instead treat our women as a lesser being. The religion which once celebrated devadasis and sanyasis has now taken on the role of a moral police to bring chastity to women. 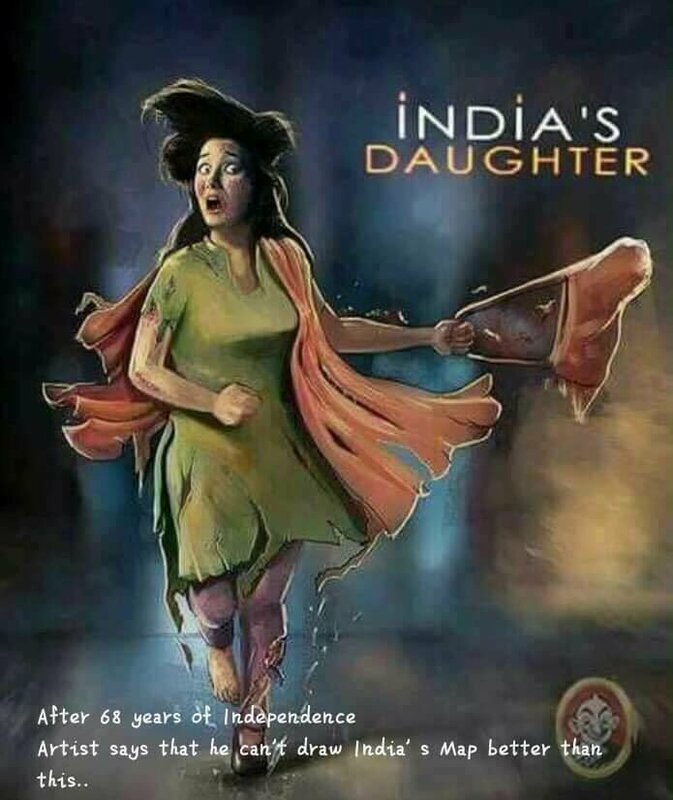 I hope that this Navratri, we change this image of India and instead make this a better place for all the sexes and celebrate women, not just for nine days a year, but for the rest of the year too. Unpaid Care Work -Who Cares For The Care Worker?